« “Forgotten Hollywood”- Oscars Outdoors 2013! 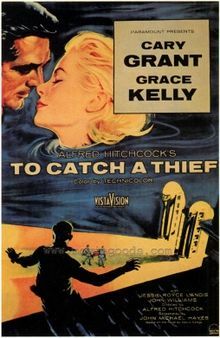 Events at the Cannes Film Festival were taken out of the screenplay of a Pink Panther film, or a Hitchcock thriller starring Cary Grant and Grace Kelly. Round up the usual suspects…! Thieves ripped a safe from the wall of a hotel room near the Festival de Cannes, and made off with around $1 million worth of jewelry, in a brazen late-night burglary, just hours after the screening of a film about break-ins at the homes of Hollywood celebrities. The apparently well-planned robbery at the Novotel Hotel took place in the room of an employee of Chopard, the Swiss-based watch and jewelry maker, and festival sponsor, that was hosting a splashy event around the same time. The gala was running late into the night at the 5-star Hotel Martinez across town, where the company has a suite during the festival. Chopard has loaned jewelry to A-list stars who walk on the festival’s famed red carpet. Already this year, actress Julianne Moore have walked the carpet in Chopard gems. The theft was believed to have taken place sometime between 7 p.m. Thursday and 3 a.m. Friday. News of the robbery sent journalists scurrying to the Novotel, a business hotel about a 15-minute walk from Cannes’ seafront promenade. Dozens of detectives are involved in the investigation, and police vehicles could be seen outside the hotel Friday afternoon. Authorities were going over hotel surveillance cameras and questioning potential witnesses who might have seen any culprits. On Thursday night, the festival screened Sofia Coppola’s The Bling Ring — a drama about celebrity-obsessed teenagers in Los Angeles who break into the homes of Paris Hilton and other stars. It’s based on a true story about high-school students who, after seeing online when certain stars are expected at a premiere or other event, take the opportunity to steal items from their homes. 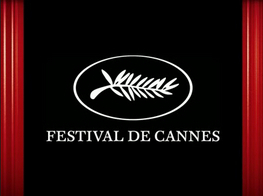 Chopard manufactures the crystal and gold Palme d’Or trophy awarded each year to the festival’s top film. Festival organizers would not disclose the Palme’s whereabouts Friday, but said it was kept in a safe place. They had no comment on the robbery. Cue the Mancini score, and call out Inspector Clouseau…! This entry was posted on Saturday, May 18th, 2013 at 12:42 am	and is filed under Blog by Manny Pacheco. You can follow any comments to this post through the RSS 2.0 feed. Responses are currently closed, but you can trackback from your own site.